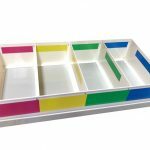 Davell manufactures a large range of standard products, however, there will be occasions when those products don’t meet your specific requirements. We will work with you to design, manufacture and install a bespoke solution that can exactly fulfil your needs which will not only be functional but cost effective. 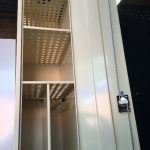 We use the latest CNC sheet metal fabrication machinery to create our standard and customised storage solutions and are also able to manufacture and powder coat a wide range of custom-made metal components on a jobbing basis. 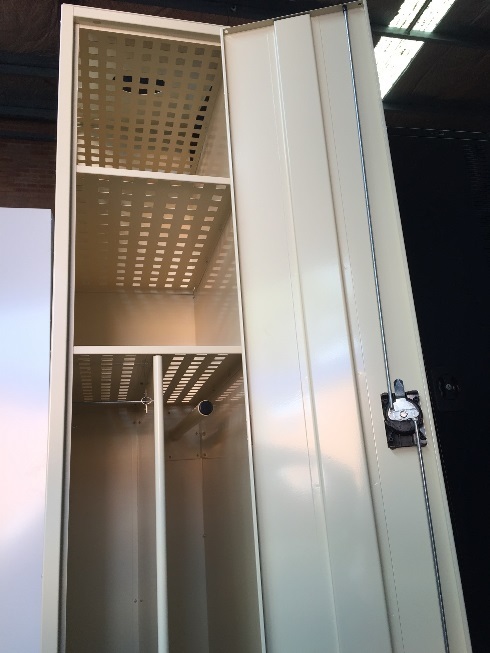 If you require a quality Australian custom-made product or component to suit your particular requirement either contact us directly on FreeCall 1800 069 105 or email your details and drawings to sales@davell.com.au for us to assess. 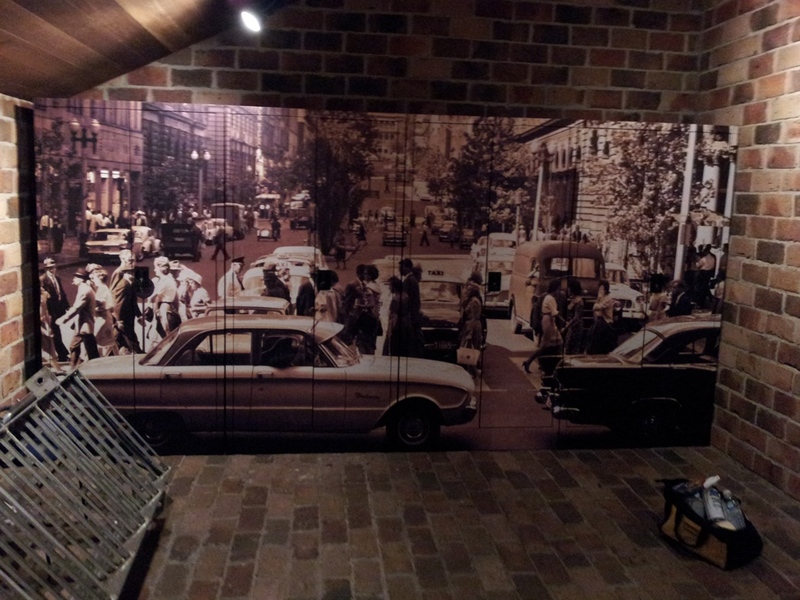 Below are some of examples of our custom-made products. 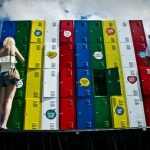 Requirements: Sportsgirl required extra tall lockers powder coated in their corporate colours for a promotion at the Melbourne Music Festival. 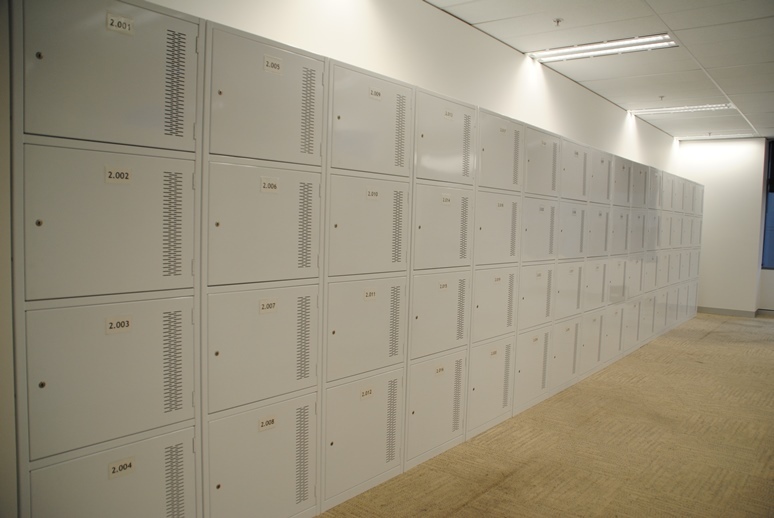 Requirements: Alcatel Lucent, one of the world’s largest suppliers of telecommunications equipment, required custom-made Activity Based Working (ABW) lockers for both their Sydney and Melbourne premises. 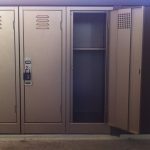 Requirements: Mt Alvernia College required lockers that could be high pressure water cleaned at the end of each school year. These lockers where manufactured from zinc coated steel and primed using Dulux’s E-Prime. The college also requested a particular Dulux pearlescent powder coat colour called Copper Kinetic. 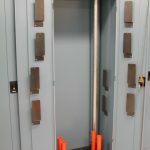 A stainless steel hasp and staple was also manufactured to accommodate padlocks. 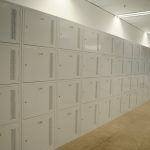 Requirements: Bayswater Power Station required custom-made sloping top lockers that enabled forced ventilation to be drawn in from the base of each locker door, pass through perforated compartment panels within the locker then exit out the top thus drying items within each locker. 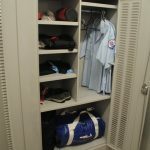 Requirements: RMS required hinged door cabinets that would accommodate officers gear bag, hanging spaces for clothing and adjustable shelves for personal items. Ventilation louvres where also requested in one door only to assist with the airing of damp clothing. Requirements: Woolworths required modified cabinets to allow dehumidified air to be pumped from one cabinet to another. 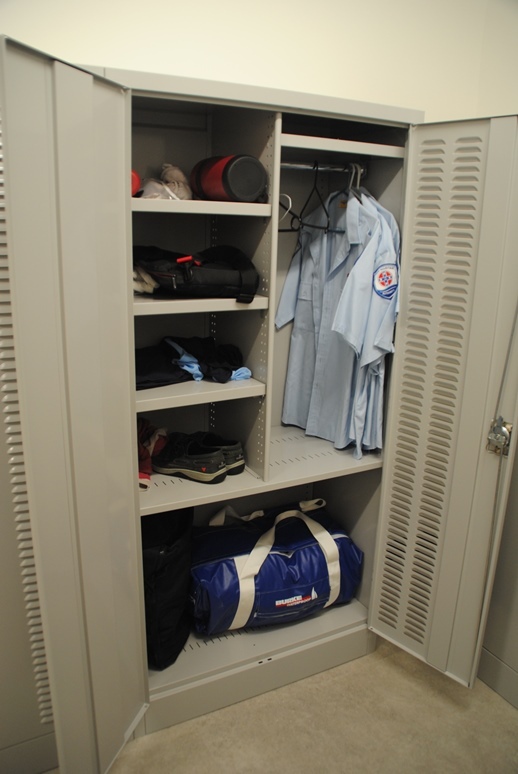 The cabinets accommodated large freezer suits, boots and gloves for personnel who worked in the cold storage area. 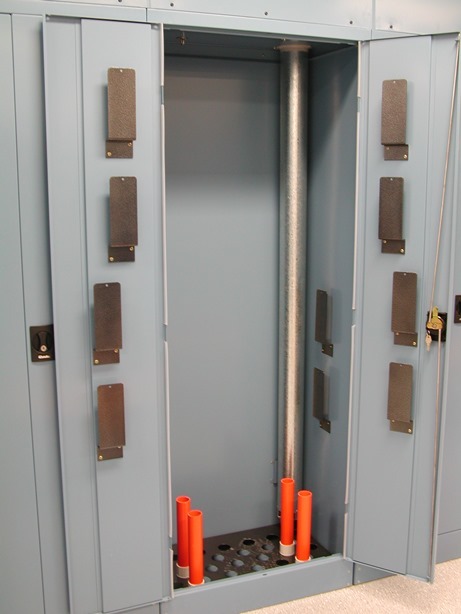 Removable cover panels were also manufactured to cover the ducting above each cabinet. 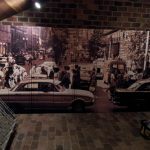 Requirements: Sydney Water required four hinged door storage cabinets to be vinyl wrapped in a sepia print of yesteryear Sydney. These cabinets are used to hold guests belongings who are taking part in the Tank Stream tour. Requirements: A large international company required pick and pack bins for their Sydney operation centre to hold packaged food ingredients. 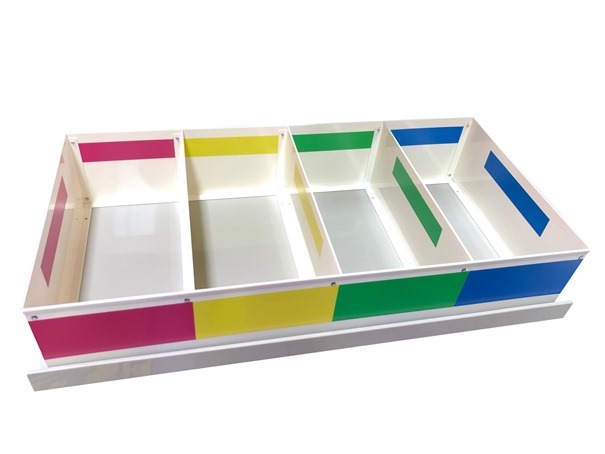 Davell manufactured and powder coated steel components which were assembled onto a plastic base to form pigeon hole compartments. 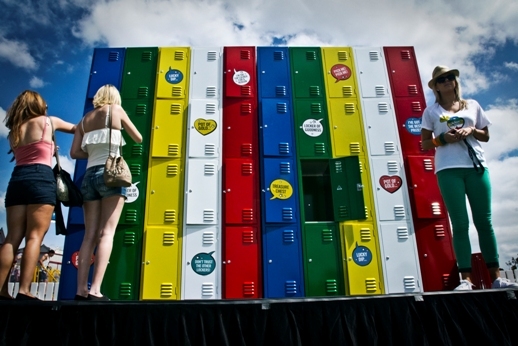 Coloured identification labels were then affixed to the unit.